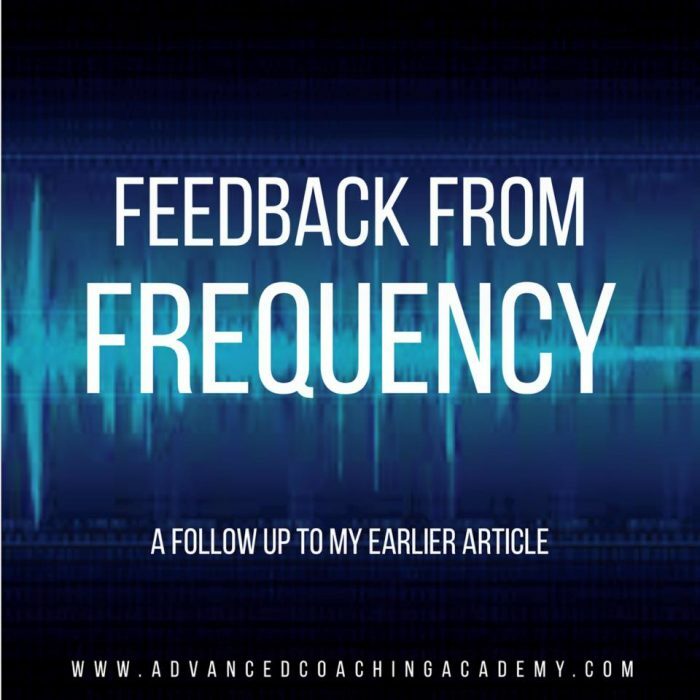 Further to my post earlier today about the importance of session frequency. Someone commented that it was entirely unrealistic and that anyone would happily go away and practice themselves. That ‘four’ a week clients are mythical. Four session a week clients will be mythical unless you’re giving value and results to your current clientele. One session a week means neither are likely hence you continue to attract the same people wanting a single session once a week. Our role as coaches is to guide people to the best outcome. NOT guide them to an ‘affordable’ belief that somethings a solution. In my last 10 years Personal Training I only dealt with 4 ongoing clients that had one session a week. Someone then asked how I would structure or deal with sessions and conflicts. Fact is most people don’t habitually exercise. By doing one session a week with a coach doesn’t change that fact. Exercise isn’t a simple habit therefore making it habitual is not a short term thing. Most trainees fail to value exercise highly. Generally due to commitments that sit higher in their hierarchy of importance and the lack of value (results) they’ve seen previously from their efforts. Much like the analogy used earlier. If you fail to see yourself getting better at something it’s value decreases until you quit. To make things habitual it’s accepted people will fail and this is essentially part of the process. They will go through a cycle several times before it becomes habitual. People within the fitness industry fail to acknowledge that their clientele does not have the same hierarchy or see exercise with the same value. For those of you without kids, mortgages, people that rely on your work and income etc it’s hard to grasp this reality. So to answer. How do I deal with clients. I democratically discuss what is realistic for them to commit to, time and frequency wise. Taking into consideration, personal, family, work and financial challenges. If budget is a conflict this won’t be opposed but value in their investment will be emphasised. If they have a set budget I will book them in the future so that sessions can be of more value and frequent. If in that time they want something to do I will gratefully set them something. I will explain why it’s necessary to acquire the ‘skill’ of training and that takes monitored practice. In that process I may then taper from coach managed to self managed sessions whilst simultaneously forming habits and providing value. 3-4 sessions a week one-on-one with daily contact my taper to two sessions self managed and two guided until PRIMARILY the trainee is confident, comfortable and getting the value from the work they’re putting in. At all points working with their ‘life’ and the tools that will increase results, safety and most of all adherence and compliance.